• Police received a report of a stolen puppy at 8:09 a.m. on Feb. 1 at the 200 block of North Lincoln Street. The 21-year-old victim advised that someone took a 4-month-old puppy from the front of the residence. According to the report, the victim’s neighbors said a tan Chevy Trailblazer pulled up near the residence and an older, white male got out, picked the puppy up and placed it in the vehicle. The vehicle was last seen traveling southbound on North Lincoln Street. No plate number was given for the vehicle. The puppy is described as an Australian Shepherd/Pit Bull mix, black, grey and brown in color. • At 10:36 a.m. on Jan. 28, a 36-year-old female reported $9 in cash was stolen from her residence at the 900 block of North South Street. • At 1:06 p.m. on Jan. 29, police received a call from a 65-year-old male advising that a phone he reported stolen was back. He advised that “a friend of a friend” was able to track down the 33-year-old male suspect and got the phone returned. The suspect requested that charges still be filed. Police asked him to get information on who got his phone back from the suspect and they would file the charge. • Police responded to a single-vehicle accident on West Main Street at 7:06 a.m. on Jan. 30. The 54-year-old female driver was in a 2011 Honda SUV and was making a left turn from North South Street onto East Main Street. “Due to ice and snow on the roadway, her vehicle spun 180 degrees, striking a parked vehicle,” according to the report. The damage is believed to be under $1,000. 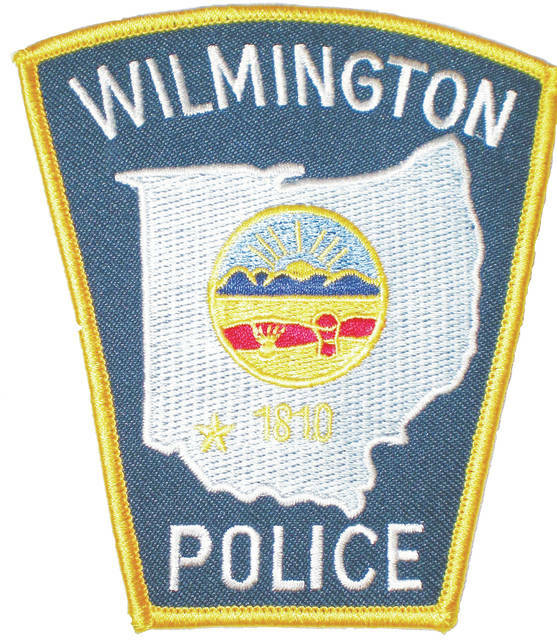 • At 1:13 p.m. on Jan. 30, the Wilmington Fire Department requested an officer to respond to the apartments on Sparta Avenue to document damage to a door. The WFD had to force entry into a vacant apartment, due to a gas leak inside. They were able to stop the gas flow to the apartment. Damage was done to the inner door casing. Building maintenance was contacted by the building manager to repair the heater and damage. • At 1:59 p.m. on Jan. 30, police received a theft report from a store on Progress Way where a 49-year-old New Vienna female is suspected of stealing $62 in gift cards. A warrant was issued for the suspect. • Police responded to a two-vehicle crash at 4:55 p.m. on Feb. 1 at the intersection of Locust Street and Lincoln Streets. No injuries were reported. The operators were a 23-year-old Wilmington female and a 19-year-old Clarksville male. The report does not indicate who was at fault. • At 4:54 p.m. on Feb.1, a 24-year-old female advised that her prescription bottle of Adderal was either taken from her purse while she was at a fitness center or it fell out of her purse while she was in the parking lot. • An assault was reported to police involving a 51-year-old male victim and a 35-year-old male suspect at 5:53 p.m. on Feb. 1. The incident took place on Southridge Avenue. • At 10:38 p.m. on Feb. 1, police received a report of an HP Omen Laptop being stolen from a store on Progress Way. • Police responded to the 100 block of Reba Drive apartment for a report of a broken window. Upon arrival, police spoke with the apartment tenant — a 27-year-old female. She advised she returned home to find her apartment window broken. She advised her children were home with her sister when this incident occurred. She was unsure who broke it. The responding officer observed blood in the window and it was “evident the window was broken from the outside.” They further observed drops of blood that were tracked all the way to a different Reba Drive apartment residence. Officers attempted to contact the resident but no one answered that door. Pictures were obtained of the property damage. While on this complaint, the officers received an additional complaint that a 25-year-old male assaulted a 19-year-old female with a pop can. The reportee advised the assault victim was at property damage victim’s residence and requested they do a welfare check. The resident advised the assault victim was present earlier but left a few hours ago. • Police received a report of domestic assault at 4:12 a.m. on Feb. 2 at the 1-99 block of Reba Drive. A 27-year-old male is listed as a suspect and a 24-year-old female was listed as the victim. • At 5:42 p.m. on Feb. 2, a 22-year-old Hillsboro female reported her wallet and loose change were stolen out of her vehicle while at the 100 block of East Sugartree Street. • At 6:05 p.m. on Feb. 2, a 37-year-old female called advising her vehicles had been rummaged through between the dates of Feb. 1 and 2, between 4:30 p.m. pm Feb. 1 and 6 p.m. on Feb. 2. The caller advised nothing was damaged or stolen, the vehicles were unlocked and their third vehicle was locked and not rummaged through. The incident took placed at the 900 block of Kathryn Drive. • A 27-year-old female from Hamilton was arrested and charged with alleged theft after police responded to a shoplifting report at a store on Progress Way at 3:21 p.m. on Feb. 3.